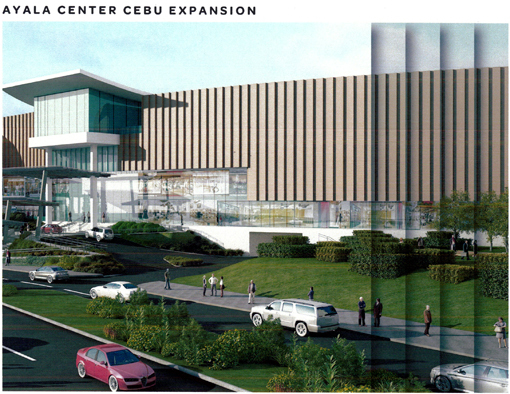 The Ayala Center Cebu Expansion will have an addition of 200 stores to the existing 450 stores of Ayala Center Cebu main mall and is expected to be operational on 4th Quarter of 2013. Premium foreign Brands like Gap, Mango, Zara and more will house the first level, including European Flagship stores and wider selection of staple American Brands with priced points ranging from mid to expensive. More hot trends and popular foreign brands will be found at the second level. Ayala Center Cebu is confident to cater the growing spending power of its patrons and strengthen its position as the premier shopping, dinning and entertainment destination in Central Visayas. The fourth level will have an outdoor-setting chapel as well as new destination for Dining outlets with water features and Cinema. The parking facility will be at the basement with continuity to the existing basement parking of the main mall. Three levels of basement parking with up to 884 slots. Looks like another upscale destination to look forward at the Cebu Park District in the Christmas Season. 0 comments: on "Ayala Center Cebu South-East Expansion is expected to Open by 4Q 2013"